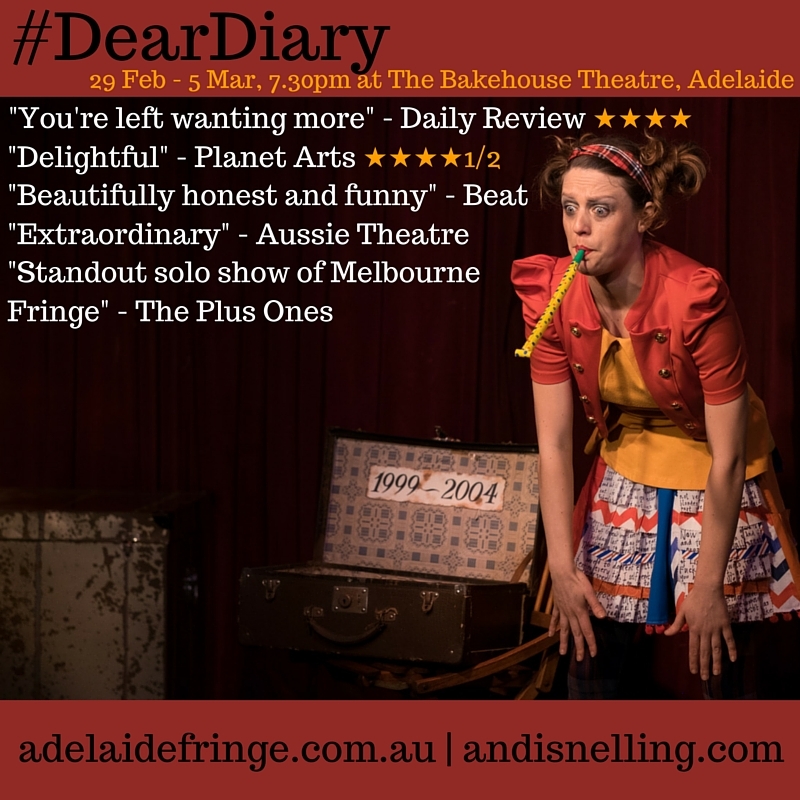 Following a hugely successful run at Melbourne Fringe 2015, my one-woman existential joyride, #DearDiary is about to head over to Adelaide. Tickets are already selling faster than I can write in my diary and I am pumped! Full details can be found HERE in the official, hot-off-the-press Adelaide Fringe Guide. Or, if you're more of a Facebook kinda person, the official Event is HERE.